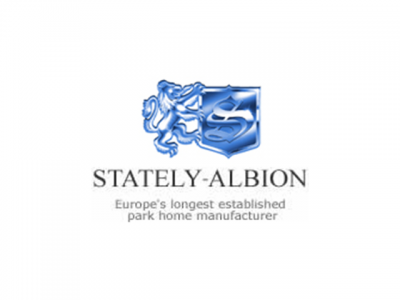 Stately-Albion Ltd is a family owned manufacturing business based in Abercarn, north of Newport. It currently has nine family members working within the company spanning three generations. It is a leading manufacture in the sector of residential park and holiday homes, built to BS3632 regulations. These homes are essentially timber framed, factory produced ‘bungalows’ and all are made ‘to order’ to the exact requirements of customers. They are fully fitted within the factory, and include either: oil, gas or electric heating, fully fitted kitchens, bathrooms and bedrooms. The sited homes can be up to 65’ in length by 22’ in width, though for transportation reasons are built in either 2 or 4 pieces. Single homes may be built up to 14’ wide. Approximately 95% of the firm’s workforce lives within ten miles of the factory and one member of the factory personnel has been employed for forty two years and other workers will soon achieve forty years of service. Many have been employed for 25 years or more. Stately Albion’s homes are sold throughout the UK and they attend many trade shows, exhibitions and open weekends on customer’s parks throughout the year to promote and sell their products. Next year, the company will be celebrating its 50th anniversary within the industry. Stately-Albion grew out of a company called Premier Caravans, situated near Bristol, which produced holiday homes, mobile homes and touring caravans. In 1963, that company was sold to Bluebird who discontinued production of the Premier range. In that same year, four of the men who had worked on the shop floor at Premier rented a farm building a few miles away and constructed a 30ft mobile home and a new company was formed, called Stately Caravans – which quickly won many orders. In 1969, the company moved to a new development at The Prince of Wales Industrial Estate, Abercarn, South Wales. Over the years the type of product manufactured by the Company has moved away from the ‘caravan’ image, to the fully furnished, centrally heated range of ‘bungalows’, which are produced today. Each of the range of homes embodies features to give the same self-contained comforts as traditional housing, but capable of easy relocation. In the 1970s the Company changed the name of Stately Caravans to Stately-Albion, to reflect their increasing involvement in exporting homes to Europe at that time. The recession of the early 90s affected the entire industry. That Stately not only survived, but actually grew, is a testament to the dedication of the management and employees. House sales in the UK during 2007 and 2008 basically came to a halt, which had an adverse effect on this business but since 2009, the housing market has improved. The business is closely linked to the housing market i.e. people sell their bricks and mortar home and buy a park home for the life style it offers – a detached dwelling sited on a plot on a secure park, surrounded by like-minded residents. The company has ensured that its product is promoted throughout the UK by attending as many trade shows, exhibitions and customer Open Weekends as is practically possible. It has also allowed extended credit terms to some customers to allow them to promote and sell the firm’s product. To remain at the forefront in its sector by ensuring the company is innovative within its market area and offering a quality product.